Calling all promo card collectors! 2014-15 Upper Deck Overtime Hockey sees the return of special dealer incentive packs. Offered exclusively to shops who purchase from distributors GTS (in the US) and Universal Distribution (in Canada), packs are given out for box and case purchases of specific 2014-15 Upper Deck hockey products. Last year, the set had two waves. This year, it expands to three. Each wave has a separate checklist of 60 base cards making the full set 180 cards. The first group has 40 veterans, ten rookies and ten retired greats. Wave 1 base set parallels come in three levels: Blue (1:2 packs), Red (#/99) and Autographs (1:36 packs). For Wave 2, the Blue and Red parallels are numbered to 25 and 10 respectively. In addition to the different waves, there are different packs for pre-orders and for those secured after a product's release. 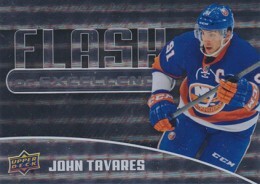 Exclusive to pre-order packs are Flash of Excellence inserts. These have three levels of die-cut parallels: Orange (#/25), Emerald (#/10) and Purple Autograph (#/10). 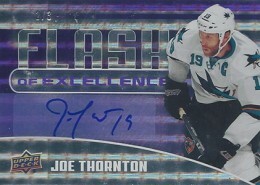 Every pre-order pack has one Flash of Excellence card. 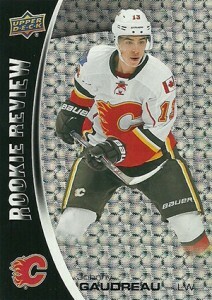 Wave 2 packs have a 30-card Rookie Review insert set while Wave 3 features Lords of the Rink inserts. Here's the break down of specific products that qualify for 2014-15 Upper Deck Overtime Hockey promo packs broken down by wave. 30 cards. Exclusive to pre-sale packs. 30 cards. Inserted in Wave 3 packs. List is tentative. 30 cards. Inserted in Wave 2 packs. Do you know anything about this Masterpiece product? Ryan did you mean to put Green instead of Red for the parallel ?? Nice bonus. with chance of hitting an autographed card. What about the checklist for rookie review and wave 2 ??? jai � We’ll check to see if we can find one. I bought two cases of Series 1 and got 24 packs. 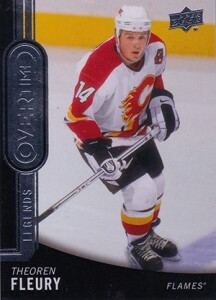 First pack of Overtime, I get a 2/3 Auto Flash of Excellence Gold of Wayne Gretzky. What a way to start case breaking. I had one other auto of David Backs and a few other great inserts in those 24 packs.